Is this the Future King of No Prep!? Street Legal Chevy S10 The Texas Rattlesnake!! What do you think, Is this the Future King of No Prep!? Street Legal Chevy S10 The Texas Rattlesnake!! If you are following the No Prep scene, then we have a tip for you, it’s somebody that you have to look out for and make sure you watch because this guy is going places, and why do we say that? Don’t worry we’ll elaborate. His name is Ronnie Hobbs and he is the proud owner of the Texas Rattlesnake, a brand new freshly built S10 which is not only beautiful to look at, but it packs a punch as well. It gets the power from a 564 Hemi which has two 98 mm precision turbo chargers strapped to it, and thanks to them it makes around 3000 horsepower, a number which is more than enough when it comes to No Prep racing, tipping the scale at 2750 lbs, driver included. On its first outing, this gorgeous S10 makes it to the finals, and it’s not even setup 100% which means that once they have this car completely dialed in, it will be a real headache for the competition. 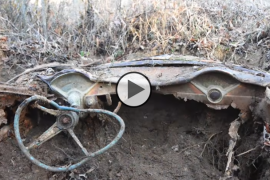 UNDERGROUND 1955 Chevy and A TRUE Barn Find 409 Engine!!! Jeff Lutz New 1957 Chevy Is One Very Bad Machine, Take a look at Very First Pass! 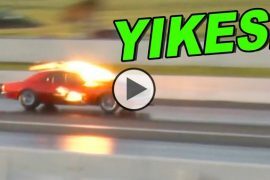 Street Outlaws Doc Street Beast vs Larry Larson In a Real Drag Race!! 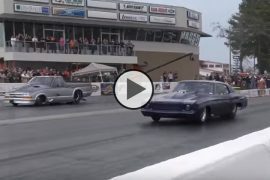 Previous articleBlown Hemi-Powered Plymouth Makes Some INSANE NOISE! Next articleGorgeous ALL-Carbon Body ’70 Dodge Charger with 950hp!! Daddy Dave Smokes Kye Kelley for $10K at RT66! !